Welcome to Dundas Castle, one of Scotland’s most beautiful exclusive use venues. Situated in a stunning 500-acre estate and located just 10 minutes drive from Edinburgh Airport, Dundas is easily accessible but remains secluded from the busy city. 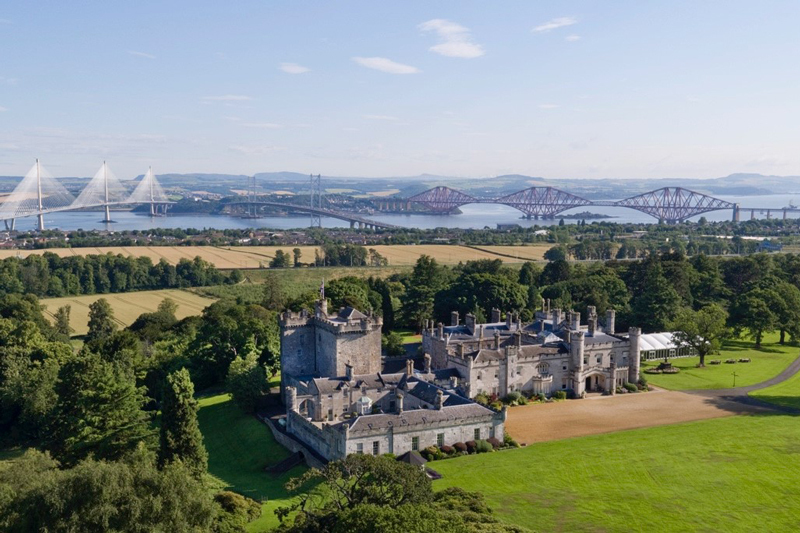 Enjoy spectacular views over the famous Forth Bridges from the roof of their Auld Keep. Their expert team will guide you through the planning of your wedding, and make recommendations based on their experience, as to which suppliers would work best with you to make your dream wedding a reality. During your wedding, their skilled operations team will be discretely by your side throughout the day to ensure that each and every moment is enjoyable, seamless and to plan. 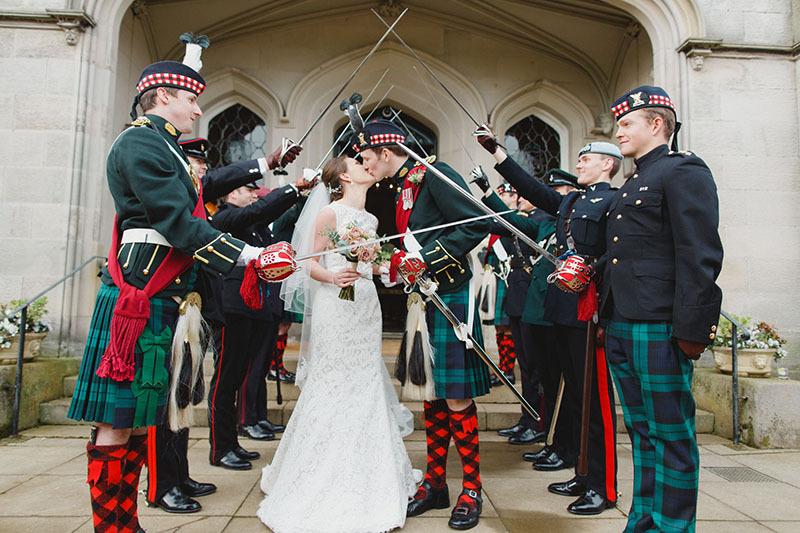 Words cannot describe how much my husband and I enjoyed our wedding at Dundas Castle. We got married 7th July 2018 and the venue could not have been more perfect. From the initial visit to the wedding itself, the staff continued to impress us with their experience, professionalism and ability to make each and every guest feel at home. 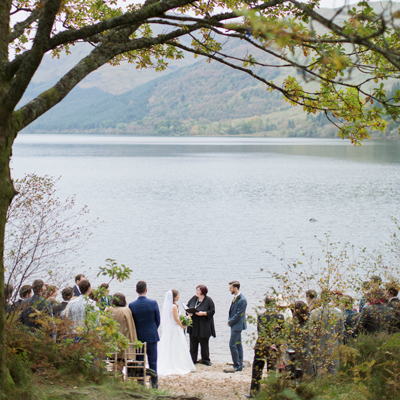 Morvern’s exceptional knowledge of Dundas helped us plan the perfect day and Fleur was with us on our wedding day, looking after us and keeping us right throughout the day. The venue and the grounds are absolutely beautiful, there was so much to see that guests were spoilt for choice. Our guests could not stopping admiring the setting. We were lucky and got a glorious sunny day and had the ceremony in the courtyard which I highly recommend. After the ceremony the guests wandered the house, grounds (which as a field of llamas! ), the Auld Keep before moving to the Pavilion for dinner. Dinner was amazing and there was plenty space for our 145 guests and a great dance floor for our ceilidh. Staying the night made the whole day that bit more magical. We can honestly say it was the best day of our lives and it wouldn't have been possible without the team at Dundas Castle. They made every second enjoyable and we did not have to worry about a thing. I could not recommend Dundas Castle highly enough. We had our fairytale wedding at Dundas Castle on July 28th, 2018. Everything was just perfect. 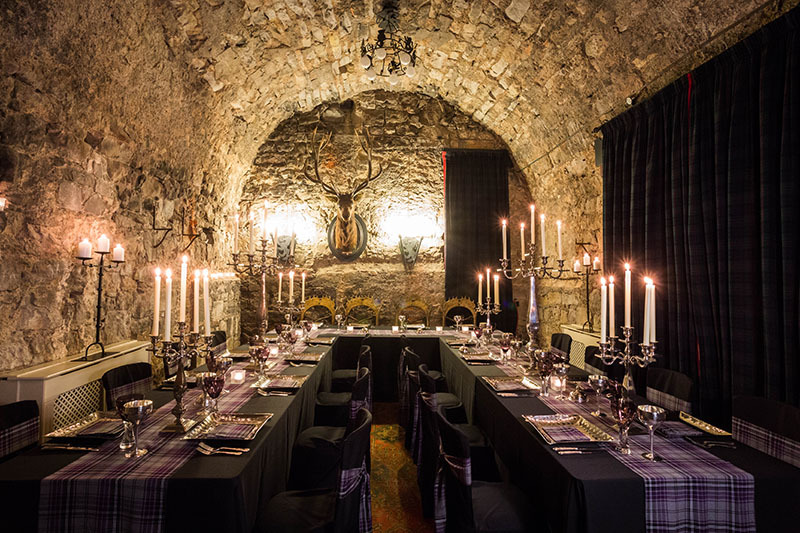 The ceremony was held in the Auld Keep, a 15th century tower that is full of rustic charm; the drinks reception was in the main house, which oozed old-world glamour and luxury; and the wedding breakfast was in the Pavilion that is spacious and airy. The food was absolutely delicious and staff were extremely accommodating and helpful. We hired all the rooms in the castle for family and guests to stay. Every one of them is so gorgeous and special. We couldn't ask for more for our wedding and all the guests kept telling us how "perfect" it was! Thank you Dundas! Special thanks to Fleur, who made the wedding day run seamlessly; Morvern, who helped us a great deal with the wedding preparation, and Laura from Sodexo, the catering provider, who was a dream to work with.